This movie is completely un-reviewed, and the first time I saw it was on late night TV about fifteen years ago. The reason it is so unknown is because it just has too much to say about capitalism and economic exploitation of the third world. The movie opens with Keenan Wynn enjoying the fruits of his servants labor in an unnamed third world country, though the movie was apparently shot in the Philippines. 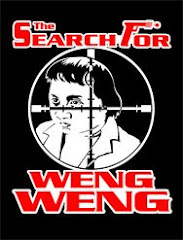 Being a highly visible wealthy foreigner, he is kidnapped by a local guerrilla group, who soon demand a large ransom. Gazarra plays the man called out of mercenary retirement to go rescue him. I can't give any more away, but what transpires turns the entire good buy/bad guy Hollywood plot sequence on its head, and there are lots of emotional moments as the best laid plans go awry. This movie says much along the way about masters, their servants and what colonial capitalism does to everyone involved. it also has a lot to say about mercenaries. I love this film, and it is REALLY hard to see or rent. Thinking hard, I really can't find anything wrong with this film, and the acting is superb, with, as you can see, a lot of big name stars of the time. Don't believe bad reviews, this is the real deal. 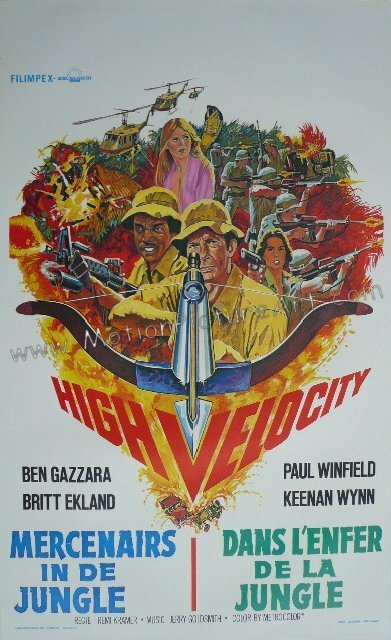 I too stumbled on High Velocity years ago, at a drive-in triple bill or on late night TV, I don't remember which. What I do remember was thinking, "What the heck!!!?" Lately I hunted down a VHS copy of this movie on e-bay and viewed it again. Perhaps my politics, or the times we live in, have changed sufficiently, because the plot doesn't seem quite so outrageous now as it did when I first saw this movie. 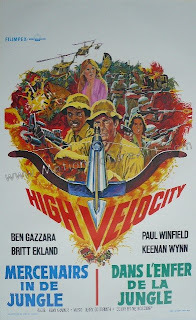 Or maybe I've seen more films from Hong Kong, China & Japan; I notice now that High Velocity was produced by Takashi Ohashi. 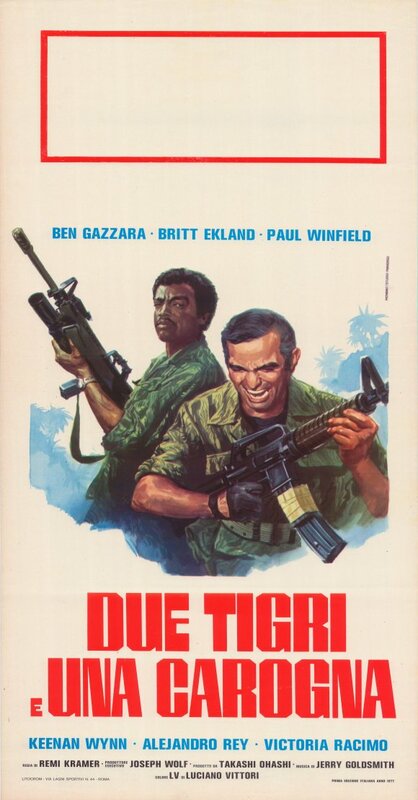 In any case, the cast is excellent, with Ben Gazzara playing a likable and sincere ex- soldier, Paul Winfield as his crazy partner, Keenan Wynn, the big rich sweaty slob with a high voice, Alejandro Rey, a greasy bureaucrat, and Britt Ekland is, of course, the babe. I've read elsewhere that the original music was remarkable. 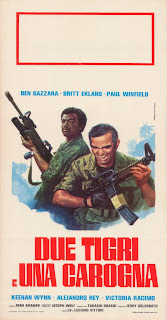 This film itself is a bit dark and grainy, as if it was shot under exposed on 16mm stock and blown up to 35mm, but perhaps that just adds to the cheap look and trashy feeling of the whole sleazy enterprise, which is more appropriate for such tales than the usual gorgeous jungles of the popular war pictures . I made this film a very long time ago.... I was the Production Manager as a young man. So happy to see people appreciate it. God knows I was bitten by enough bugs while making it! peter@samuelson.la Peter Samuelson P.S. Those posters you show above: do you have any idea where I can buy one? Thanks. Worked with the bearded young man then (PeterSam) and PeterMac. Can't forget the brief boxing match PeterSam had with Mike Parsons during our location shoot in La Mesa Dam, Philippines. Worked as Wardrobe Assistant to Llandys Williams, but also did odd jobs for PeterSam as his printer and artist. Also doubled for Alejandro Rey. A great work adventure HIGH VELOCITY was for me.